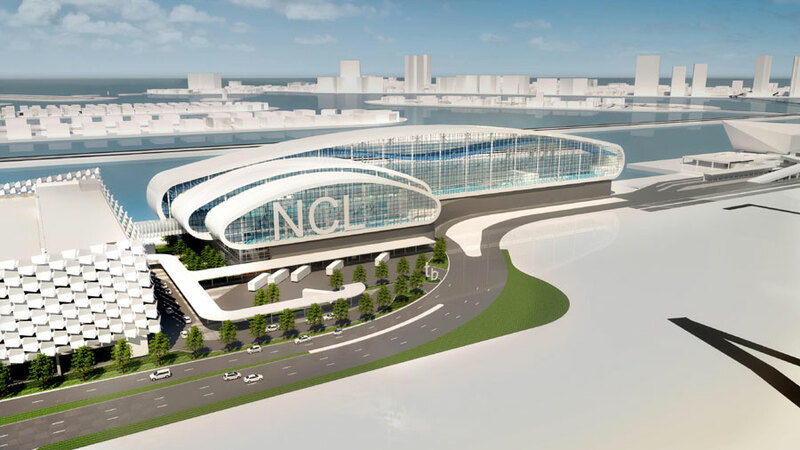 Norwegian Cruise Line has reached a major construction milestone with its new PortMiami cruise terminal. The cruise line broke ground and now the development is well underway since starting on May 1, 2018. The cruise line is celebrating breaking ground of its new dedicated PortMiami terminal facility which was approved by The Miami-Dade County Board of Commissioners on April 10, 2018, and work officially started on May 1. A ceremony was held at the location in the port and was attended by personnel from NCL, PortMiami, the architect firm Bermello Ajamil & Partners and the construction firm NV2A-Haskell. 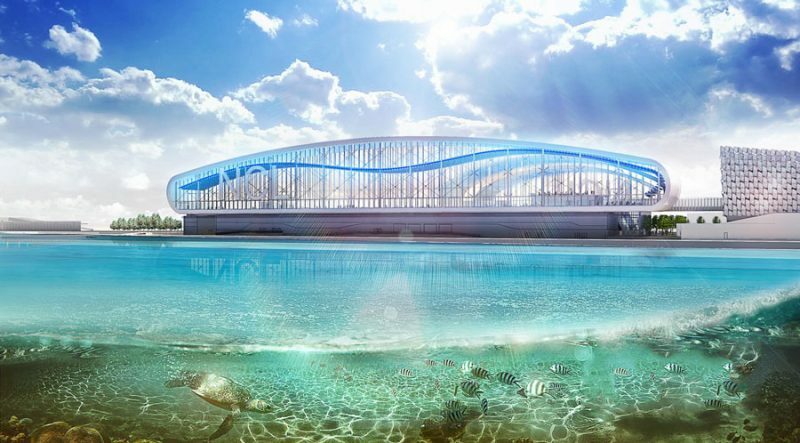 The new Norwegian Cruise Line terminal is set to be completed in the fall of 2019 and will be futuristic looking. You can read our previous post when the new terminal was first announced by clicking here. The new cruise terminal will be able to cater for a large number of passengers and the cruise line’s biggest cruise ships. The facility will be 166,500 square feet and be able to accommodate ships with up to 5,000 guests. There will be modern areas where guests will be able to experience a faster and more efficient embarkation and disembarkation process. the latest technologies will be used to make sure Norwegian Cruise Line passengers have a great cruise vacation from the port. The first ship to call at the new facility is set to be Norwegian Encore which will be the next Breakaway Plus class cruise ship which is currently under construction. The ship will sail week-long Caribbean cruises from Miami, Florida and will be around 169,700 gross tons.